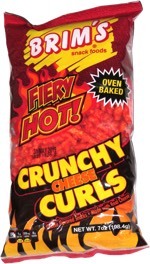 Taste test: They have a hot aftertaste and are a little too salty for most. 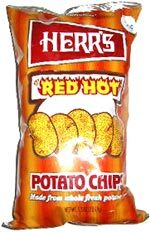 A decent hot chip, though their color is offputting  a nuclear orange, much like the orange on the bag. They also leave a lot of nuclear orange residue on your hands. Smell test: A sweet BBQ sauce smell, with a hit of cayenne.